Easy access by car, close to the main road and still quiet surroundings. They serve freshly cooked tasty food. The stay was very enjoyable! We liked staff, food, place, location. we rested well after a long journey. Profesjonalna, niezwykle miła obsługa. Śniadanie smaczne, zróżnicowane. 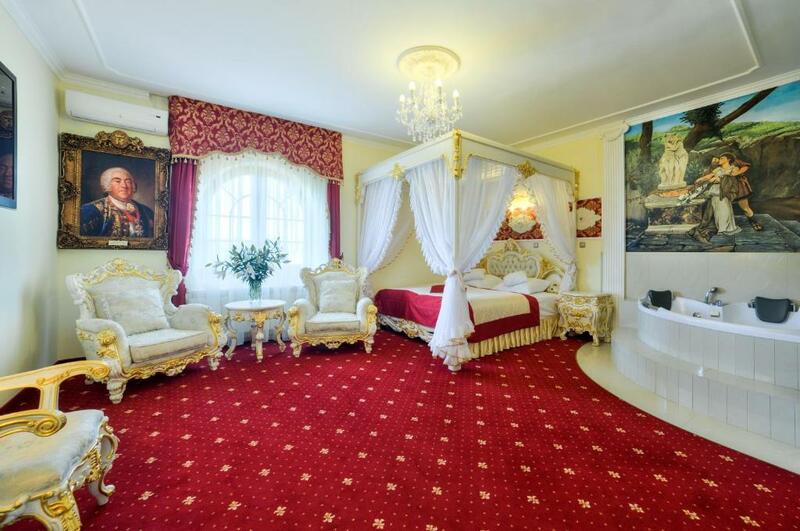 Stylizacja hotelu, wraz z wizualizacją pocztu królów Polski. Удобное расположение! Нет проблем с парковкой! Отличный завтрак! Отель удобно расположен на трассе №19. Хорошая ванная комната. В отеле - СПА (2 джакузи и 2 сауны). 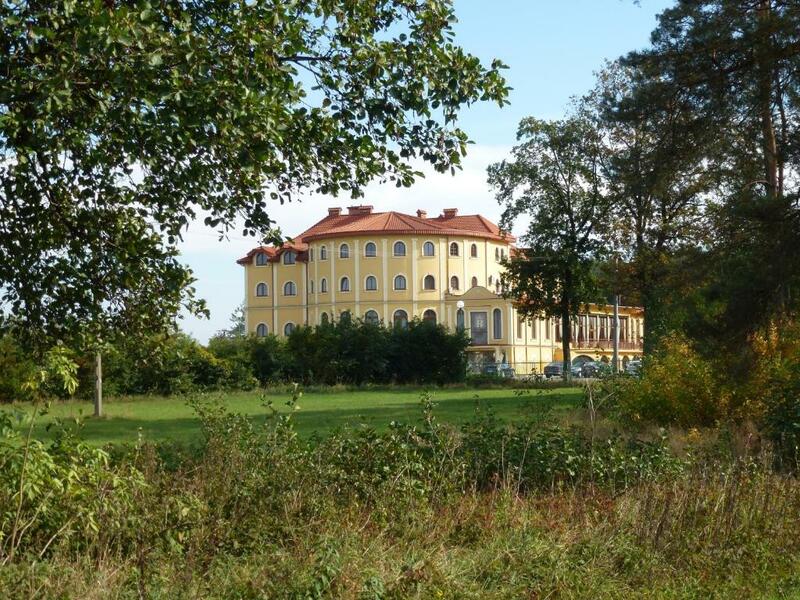 With marble floors, chandeliers and a large garden with a fountain, the Hotel Królewski is surrounded by the greenery of the Janów Forests Landscape Park with the beautiful Janów Lake. 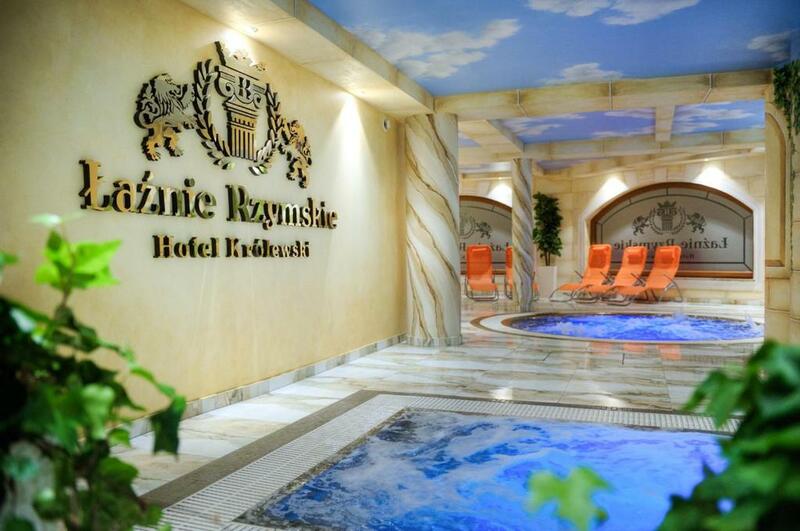 Guests enjoy free access to a spa - Łaźnie Rzymskie, featuring two hot tubs, an infrared sauna and a dry sauna. All spacious rooms at the Królewski are decorated with warm colours. Each comes with a flat-screen TV with satellite channels and free Wi-Fi. Every room has a modern bathroom with a heated floor and luxurious Italian fittings. 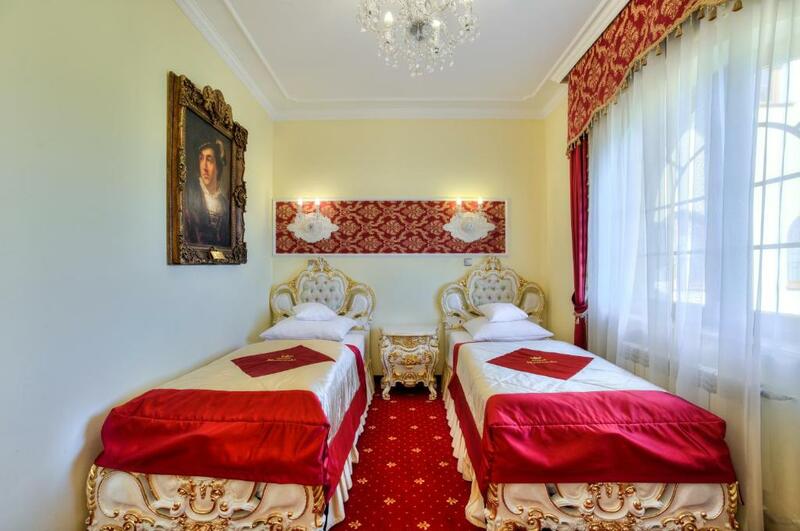 The hotel restaurant, Galeria Królewska, has 3 air-conditioned and stylish rooms, where a variety of Old Polish and European dishes is served. In summer, guests can enjoy their breakfast on a summer terrace. Hotel Królewski offers bicycle rental and shuttle services. Guests can enjoy long walks in the park or fishing and canoeing at the nearby lake. Hotel Królewski is located in Janów Lubelski, 3 km from the town centre. Free parking is provided on site. 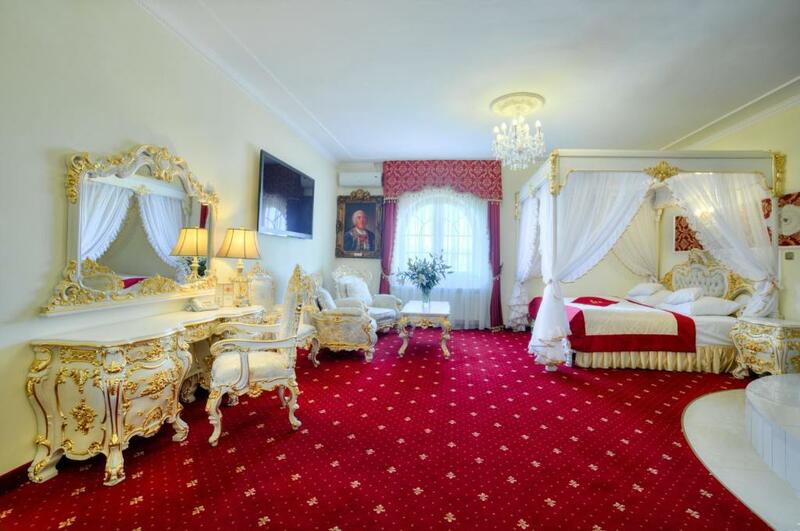 Hotel Królewski Booking.com svečius priima nuo 2011 m. kov 10 d.
Kada norėtumėte apsistoti „Hotel Królewski“? A spacious room decorated with warm colours. It has a flat-screen TV with satellite channels. It has a modern bathroom with a heated floor and luxurious Italian fittings. 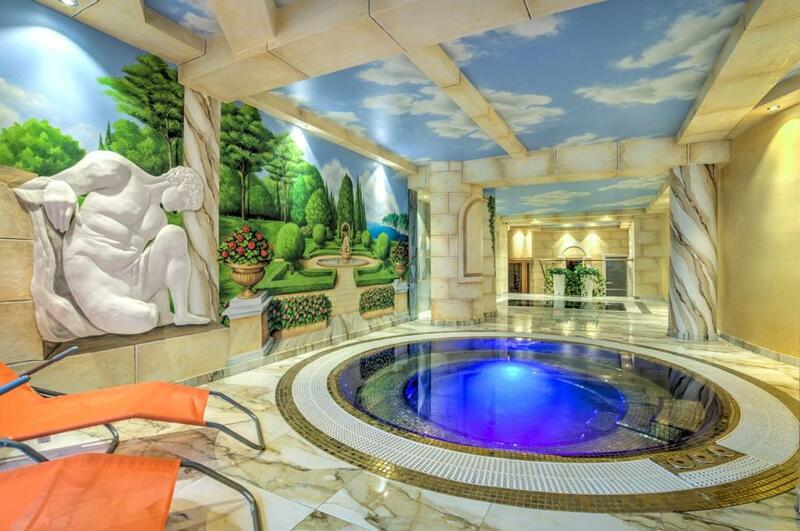 Rococo-inspired apartment with a private hot tub, satellite TV and ironing facilities. Rococo-inspired apartment, decorated with golden elements. Features a flat-screen TV and a private bathroom with shower. 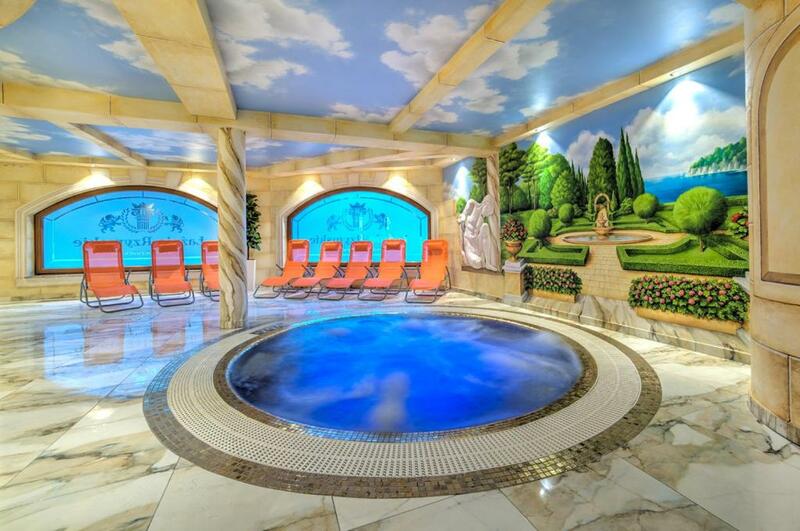 Vidaus taisyklės Hotel Królewski priima ypatingus pageidavimus! Nurodykite juos kitame užsakymo etape. Vienas vyresnis vaikas ar suaugusysis gali būti apgyvendintas už 60 PLN asmeniui už naktį, jei pristatoma papildoma lova. Nėra galimybių pristatyti vaikišką lovelę. Hotel Królewski priima šias mokėjimo korteles ir turi teisę iki jūsų atvykimo laikinai įšaldyti tam tikrą sumą jūsų mokėjimo kortelėje.